Some of you may have heard about “blockchain”, a technology that was initially used for digital currency, such as bitcoin. However, are you aware of the definition? Probably now you are wondering: who invented blockchain? Referring to some articles, blockchain was originally invented by Satoshi Nakamoto, which turns out to be a pseudonym of a person or group of people. This invention created the backbone of a new type of internet, which allows you to distribute digital information without fear of getting copied – simply means a more secure transaction. So, what makes blockchain more secure? The answer is its decentralized database, meaning the data is not just saved in a single location. The records are truly public and easily verifiable, for each user who has access to the system. This decentralized version creates a secure mechanism to prevent a hacker to corrupt the data or the database itself. That mechanism is truly what needed by many industries, such as financial service, healthcare, supply chain management, etc. 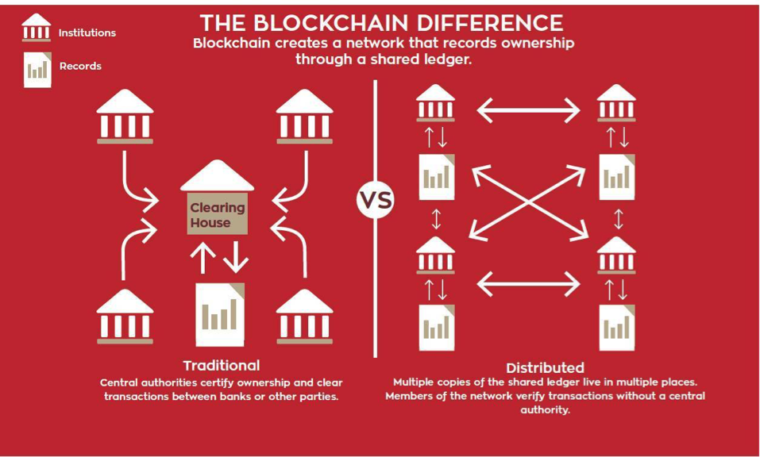 Below figure will present you the comparison between traditional and blockchain system. Then, what is the linkage between Blockchain with Retail & Luxury Industries? So, here are the blockchain functionality (including practical examples), that may be advantageous for your company. uses of special ink/ dyes/ papers/ label/ etc. However, above attempts are proven not effective in a long run, since the data is being stored in a central database. A hacker may hack and manipulate the data or the database, to create a copy or just to screw up the authentic special code. And to combat this issue, the company easily required to integrate the existing technologies (e.g NFC, RFID, Barcode, etc.) with blockchain platforms, to improve the security level. And one notable brand that already made the transformation is BabyGhost, collaborated with Vechain, that launch the product and their collaboration at Shanghai Fashion Week 2017. 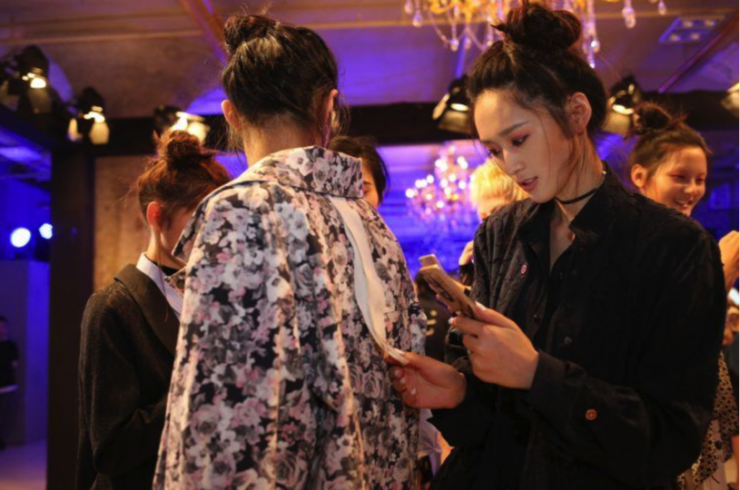 In a bid to fight the fakes high fashion designer’ products, they provide immutable ledger which is paired with either a NFC or QR code on each Babyghost’ products, users can verify its authenticity on VeChain’s application by easily scan it. Prior to that, sneaker manufacturer has deployed the transformation. The Greats x Beastmode 2.0 Royale Chukkah was the first consumer product that uses a smart tag integrated with blockchain, accommodate by Chronicled. 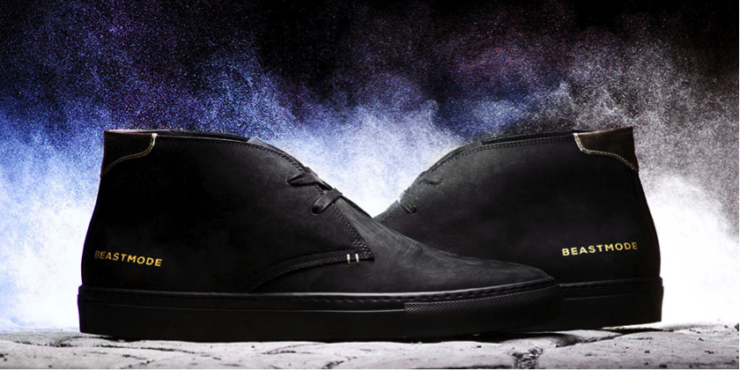 The Royale 2.0 is equipped with a smart tag that comprises the digital information and each item’s limited edition number to prevent imitate items. Users can also interact with exclusive content and another buyer. Furthermore, blockchain technology also could be beneficial for food & beverages manufacturing & retail industry. An example to be considered is Highland Scotch whisky distillery Ardnamurchan has partnered with digital tech firm Arc-Net, that provides scannable QR code on each bottle. This act gives importers and buyers with “absolute certainty”. It’s also impacted on health issues, to prevent sudden death by fake liquor. Eventually, from all of the supply chain’ information, it will lead as a plus for the companies that focus either on sustainable products or company that get involved in #WhoMadeMyClothes campaign, by Fashion Revolution. It’s applicable as trust added and transparency for the brand, and as a storytelling medium for their customers to communicate how beautiful circumstances behind their products, and more further in the direction of referring as a standard expectation. 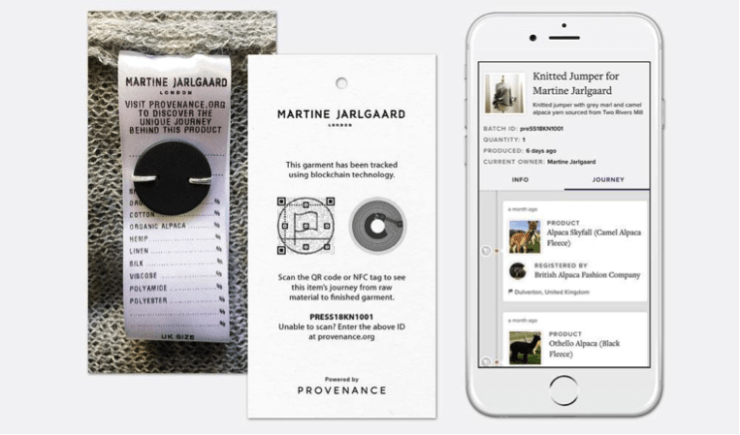 One of fascinating pioneer example is Martine Jarlgaard, a London-based fashion designer, in a partnership with Provenance on 2014. By attaching a unique digital token on each garment, all parties involved from farmer, designer, manufacturer, until customers can register and track each step on the blockchain via Provenance website/ application. That also serves as an e-commerce. The challenge is supply chain system, which, particularly in the fashion industry, is complex and obscure. “Blockchain and the database system can be a relevant marketing & branding tool if we able to extract the insights from the data”. Not only supporting supply chain information from upstream to downstream, but also by having all of that information, the companies can create relevant branding and marketing strategies that suitable for their target markets. A sophisticated company as an example that quite recent is 1trueid, an Italian based company that focused on blockchain technology, that already did the collaboration with Alessandro Gherardi®, by developed MTM Shirt 4.0. 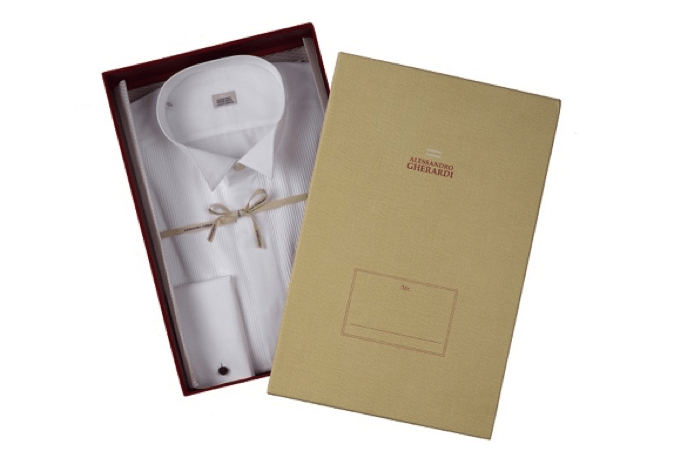 By embedding special secure & washing resistant tag on the product, that connected to Alessandro Gherardi Su Misura application for one-to-one engagement. The objective is to create dynamic marketing strategy, either by providing a customer service chatbot, or to invite the products’ owners for Alessandro Gherardi events, including to give them special offers. From the company’s standpoint, its practically distribute real-time analysis to easily sets time offers and circumstantial pricing, aiming for revenue uplift. Its also supported by integration with retail card permit to complete audit trail for purchased products. The challenge is company need to collect as many as they can, to provide more accurate marketing & branding strategies. Blockchain allows quicker and efficient identity verification process, without third-party support. Each user can closely and securely monitor their personal data. Have you ever heard or probably perform change ownership process for luxury goods? With this technology, consumers can clearly see the change ownership log of the goods. In the meantime, the existing luxury goods industry, that involved in this technology is diamond ownership’s exchange, by Everledger. It’s a London-based company that has placed more than 1.6 million diamonds on a blockchain. The records listing on the system are include the color, carat, and certificate number of the diamonds. These are only 4 numerous on-going functions of blockchain for retail & luxury goods industry. For sure, more companies will take part on the transformation along with a more mature infrastructure.